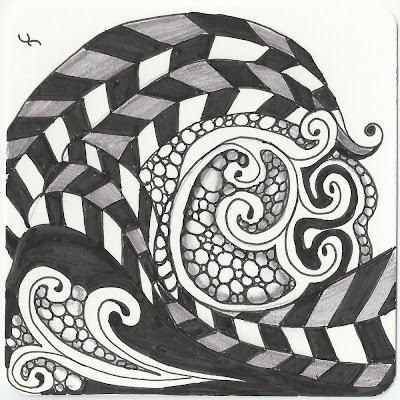 Pattern Play with Pens: Challenge 41 "Opus and Jonqal"
Wow, you really meshed them beautifully. Beautiful! Reminds me of an ocean with its waves and pebbles! Looks like an ocean wave...very nice! 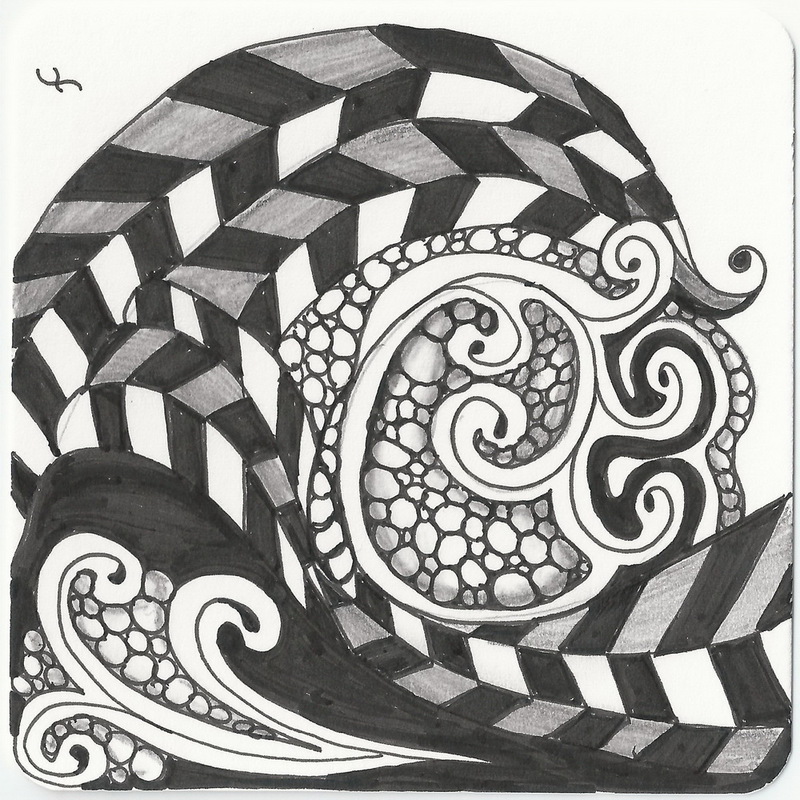 Excellent tangling! I like the shading in jonqal that softens the harsh alternating black and white. Very cool!